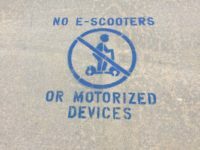 California cities started a process of licensing dockless electric scooter rentals to operate on city roads legally last week. 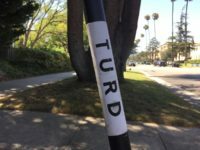 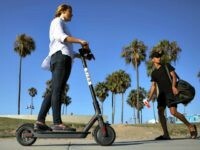 Vandals in Southern California are finding increasingly creative — and, at times, disgusting — ways of attacking electric scooters that some residents consider a nuisance, though many others find them a useful way of traveling short distances without using a car. 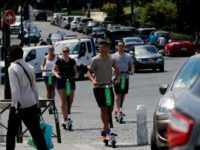 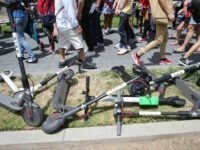 Blowback is rising against Bird and other companies providing all-electric scooter rentals that are taking over the streets and sidewalks of California’s major metro areas. 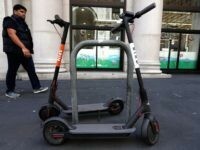 San Francisco police are issuing $125 tickets and confiscating electric scooters as the new transportation fad goes viral — and sparks complaints from angry local residents.